Conceived for industrial heavy duty applications that require enhanced cooling performance and advanced ingress protection, the NF-F12 industrialPPC (Protected Performance Cooling) is a ruggedised high-speed version of the award-winning retail model. The 24V variant uses a dedicated wide input range version of Noctua's NE-FD2 motor driver IC in order to support 24V-based industrial applications. Thanks to the outstanding aerodynamic efficiency of the NF-F12 design and the use of a novel three-phase motor, the industrialPPC version provides superior airflow and pressure capacity while keeping noise levels and power consumption moderate as against comparable high-speed fans. While its fibre-glass reinforced polyamide construction and certified water and dust protection make the NF-F12 industrialPPC suitable for operation in challenging environments, the renowned SSO2 bearing technology guarantees an MTBF of over 150.000hrs. Topped off with Noctua’s trusted reliability and 6 years manufacturer’s warranty, the NF-F12 industrialPPC is an ideal choice for highly demanding applications that require superior flow rates and ultimate dependability. Having received more than 150 awards and recommendations from the international press, Noctua's NF-F12 has become a proven premium choice for 120mm cooling needs. Its renowned efficiency has convinced tens of thousands of customers all over the world. Thanks to its elevated 3000rpm top speed, the NF-F12 industrialPPC-3000 provides a significant performance boost over the 1500rpm retail version. Combined with the industrialPPC series' robust polyamide construction and advanced protection features, this makes the fan ideal for challenging industrial applications. The industrialPPC 24V models use a dedicated wide input range version of Noctua's NE-FD2 three-phase PWM motor driver IC. Supporting operating voltages from 6 to 30V, these models are ideal for 24V-based industrial applications and voltage- or PWM-based speed control. While the industrialPPC 24V model has been designed with 24V industrial applications in mind, it runs at a maximum speed of around 1050rpm in 12V PC environments and can be slowed down further via PWM, thus combining industrialPPC features and design with Noctua’s signature quietness. 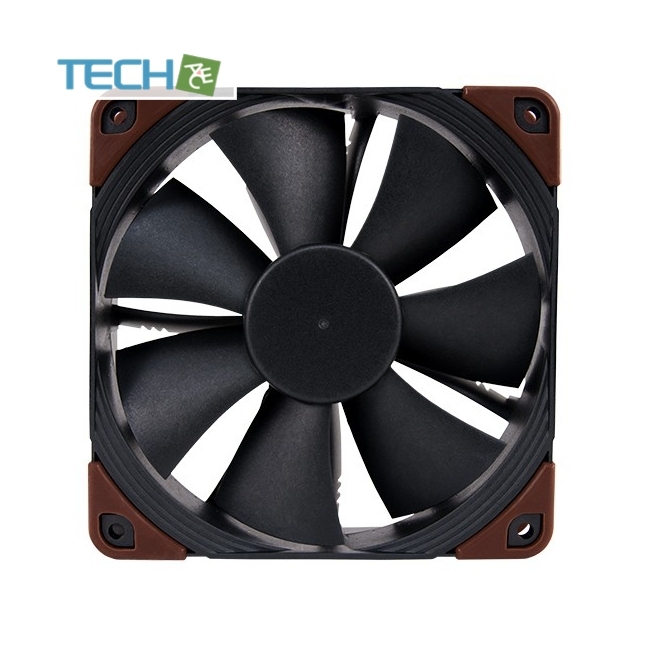 While most axial fans use single-phase motors with 4 slots, Noctua's industrialPPC fans feature a three-phase design with 6 slots, which provides smoother transitions between the slots and thus allows for even higher running smoothness, further reduced vibrations and unprecedented energy efficiency. The motor and PCB of the IP67 version are completely cast in a special, highly heat conductive resin that combines thoroughgoing protection and effective motor heat dissipation. Complying with the ingress protection rating IP67, this fan is not only fully dust tight but also completely waterproof up to 1m water depth. Both the impeller and the frame of Noctua’s industrialPPC fans are made entirely from fibre-glass reinforced polyamide. 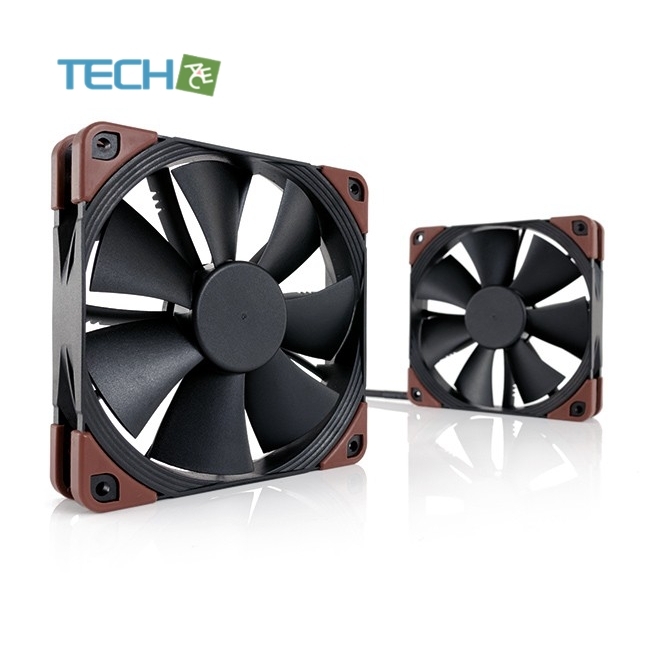 This material can withstand temperatures up to 140°C and makes the fans even more robust and break-proof than Noctua’s standard fibre-glass reinforced PBT fans. Designed for pressure demanding applications such as heatsinks and radiators, the Focused Flow™ frame features eleven stator guide vanes that straighten, channel and focus the airflow, which allows the NF-F12 to rival the performance of conventional fans running at much faster speeds. Custom designed for the new Focused Flow™ frame and to work in tandem with the eleven stator guide vanes, the NF-F12's seven blade Heptaperf™ impeller has been carefully optimised to achieve a perfect balance between power and quietness. The NF-F12 industrialPPC features the further optimised second generation of Noctua's renowned, time-tested SSO bearing. With SSO2, the rear magnet is placed closer to the axis to provide even better stabilisation, precision and durability. In order to guarantee the highest possible degree of manufacturing precision, minimum tolerance and excellent long-term stability, the NF-F12 industrialPPC sports a CNC milled bearing shell made entirely from brass. Supporting fully automatic PWM speed control, the NF-F12 industrialPPC uses Noctua's custom-designed NE-FD2 PWM IC for three-phase motors. 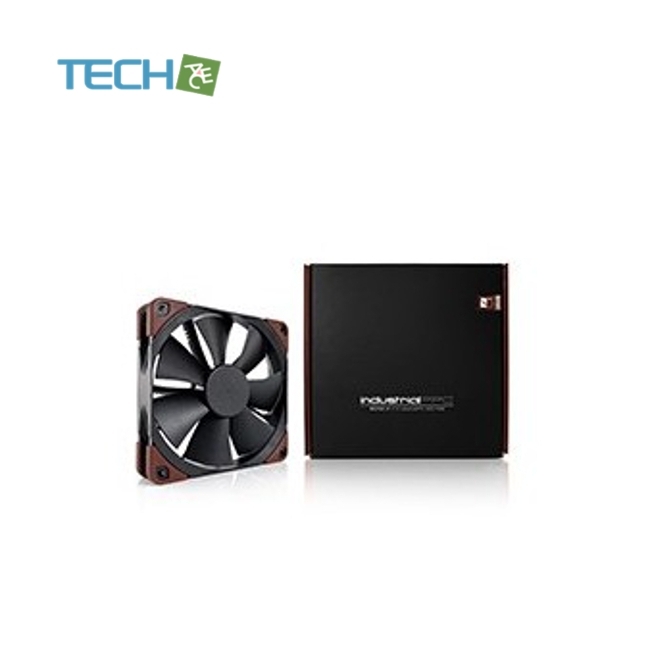 The NE-FD2 integrates Noctua's proprietary Smooth Commutation Drive (SCD) technology, which suppresses PWM switching noises and thus makes the fan quieter at lower speeds. Noctua fans are renowned for their impeccable quality and outstanding longevity. 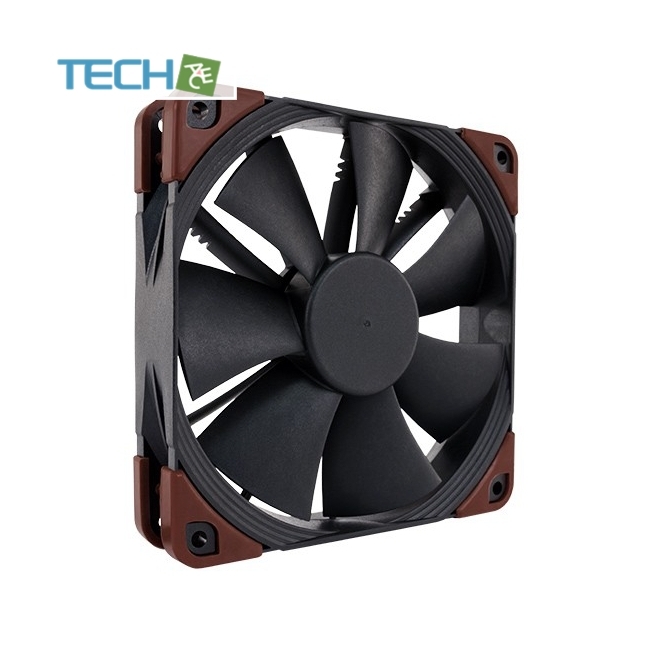 Like all Noctua fans, the NF-F12 industrialPPC features an MTBF rating of more than 150.000 hours and comes with a full 6-year manufacturer’s warranty. For industry clients, various features, certificates, packaging options and accessories can be customised on requests. For example, we can provide different connectors and speeds, different cable length or UL and TÜV certification. Please feel free to contact us for customised offers!